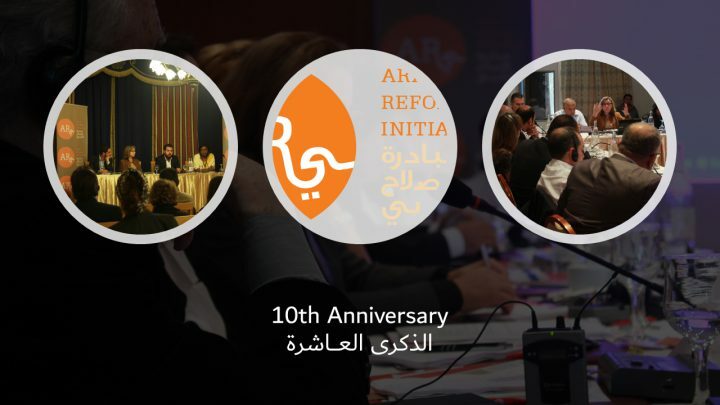 For the past decade, ARI has been building expertise and a cross-national network of researchers, policy-makers, and stakeholders who are committed to the political transformation of the region. We were the first to conduct ground-breaking research on Arab security sectors and the first ever to engage representatives of security institutions in policy dialogues with civil society actors. We brought together Islamists and secularists in a sustained dialogue on divisive issues, studied the role of the private sector in fostering change, and launched the bi-annual Arab Democracy Index, an exclusive report that measures the democratic transition across the region. In the post-2011 upheavals and the ensuing transformations of the Arab countries, the value of our structure and approach was made more evident, and we were quick to respond by initiating new strategies. Over the last few years, ARI has significantly increased the production of policy analysis with a broad array of new voices and has started a series of policy dialogues with real agents of change. ARI is continuing its work in the critical domains of the Arab democratic transition, with projects on the role of security institutions in conflict and post-conflict societies, and the governance of diversity and establishment of equal citizenship for all. ARI along with its partners is perceived as an actor with enough legitimacy to take the lead on instigating key debates, serving as a catalyst for social groups to articulate their agendas and waging the defining battles for democratic change with the activists most committed to upholding our values. Looking forward, we are determined to increase our efforts to give a younger generation the best chances, nurture their aspirations and accompany them in their various trajectories as they strive to learn, carve new spaces and equip themselves with tools for action, challenging traditional conceptions of politics and social engagement. None of this would have been possible without the support and trust of our donors. They have allowed us to develop our priorities and our work agenda away from any influences or interests. For this we owe them our reputation as the leading independent think tank of the region.